The training consists of 3 days on-site and further study/inspections are required. The progress is totally up to the learner but can be completed in less than 2 weeks and we will help progress learners to achieve their goals. 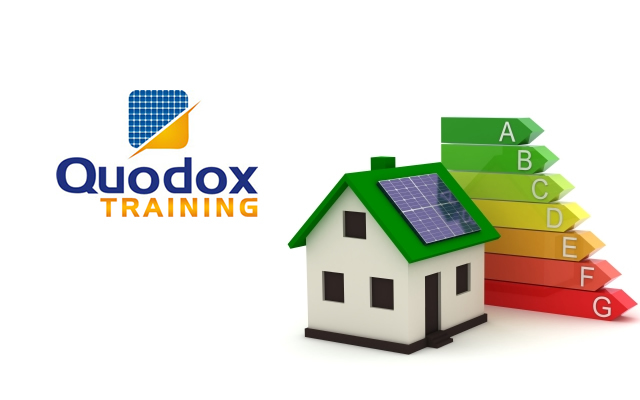 Energy Performance Certificates are required by law as part of the property documents collated by solicitors/conveyancers for every home that is constructed, sold or rented, in England & Wales. Since October 2008 it has also become mandatory that landlords provide EPCs for all tenanted properties. While the Government has scrapped the need for Home Information Packs (HIPs), the requirement for an EPC is still in place and these must be issued by a suitably qualified and registered Domestic Energy Assessor. The cost of the course includes training, assessment, the certification fee and all course material, along with refreshments throughout the day. No hidden costs or additional charges guaranteed. By paying the 15% deposit online secures you place on this course. The outstanding balance is paid directly to the trainer on the first day of the course. See Booking Terms and Conditions for more information.